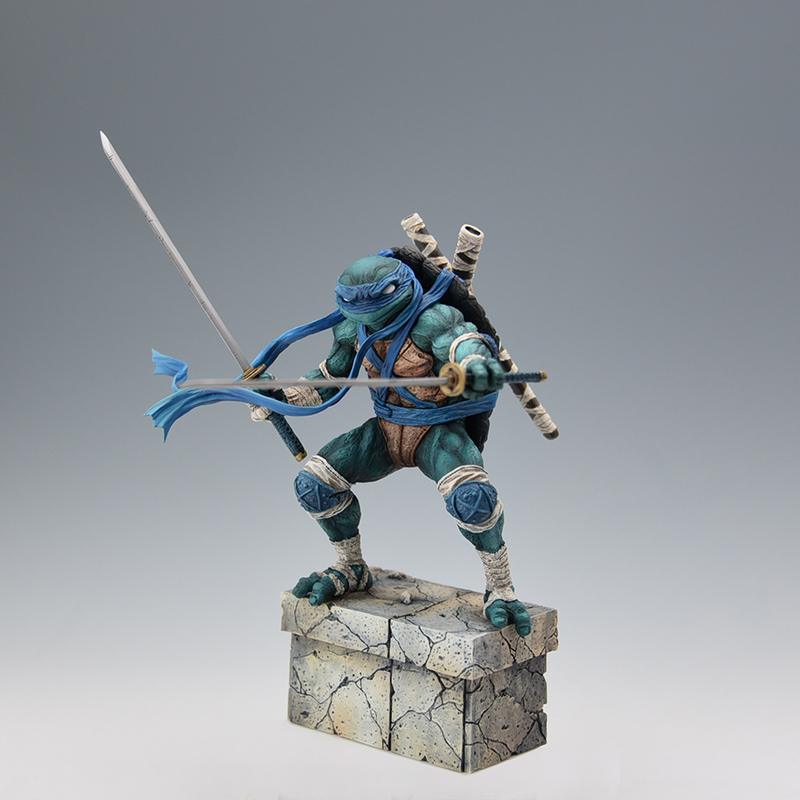 Japanese figure maker, Good Smile Company, creates collectible sculptures of the Teenage Mutant Ninja Turtles based on the artwork of renowned fine artist James Jean. Good Smile Company, premier Japanese collectible figure maker, and Nickelodeon are creating large-scale collectible figures for the iconic Teenage Mutant Ninja Turtles. Based on acclaimed fine artist James Jean’s original rendition of the Teenage Mutant Ninja Turtles, Good Smile Company has made four individual sculptures that can be combined to create one large diorama sculpture. The individual statues will roll out separately, starting with the pre-order release of Leonardo in November 2014 and the remaining three in 2015. Prototype samples of the highly detailed statues, along with Jean’s original image, will make their first appearance at the Good Smile Company booth (#422) at New York Comic Con between October 9th and October 12th. A key highlight to this exciting project is the collaborative efforts between Takanori Aki, President and CEO of Good Smile Company, Inc. and James Jean. Known as the most awarded cover artist in comic book history and renown for a global collaboration with Prada, Jean stepped away from commercial work to focus on painting. Jean was asked by his good friend Aki to make a rare appearance back into the realm of commercial art to help in the visual development of the sculptures. 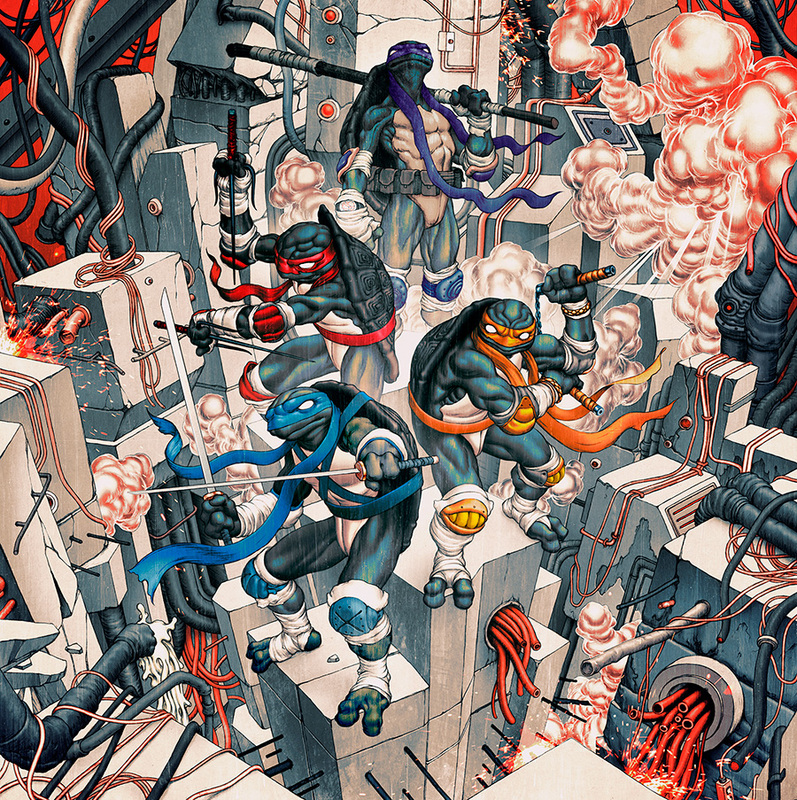 Jean created an image that is reminiscent of the classic comic book version the Teenage Mutant Ninja Turtles. About Good Smile Company, Inc. Established in 2001, Good Smile Company is the worldwide leader in Japanese hobby products and services including the design, manufacturing and marketing of collectible figurines. Known for creating highly detailed collectibles, Good Smile Company’s quality of production, sculpting, and manufacturing are known industry wide as the new standard for Japanese anime/manga/video game characters. The company is actively involved in other new areas such as animation production/development and the motor sports business. More information about Good Smile Company can be found at www.goodsmile.com. James Jean is a Los Angeles based visual artist, known both for his commercial and fine art work. Some of his past clients include The New York Times, Nike, Warner Bros, and Prada. He is now focused on his fine art and personal publishing projects and can be followed @jamesjeanart across a variety of social media. Nickelodeon, now in its 35th year, is the number-one entertainment brand for kids. It has built a diverse, global business by putting kids first in everything it does. The company includes television programming and production in the United States and around the world, plus consumer products, online, recreation, books and feature films. Nickelodeon’s U.S. television network is seen in more than 100 million households and has been the number-one-rated basic cable network for 19 consecutive years. Tagged Good Smile Company, James Jean, Nickelodeon, Teen Aged Mutant Ninja Turtles, TMNT.